Just found out about Carluccio’s cooking tutorial session from Kuweight64. It’s K.D. 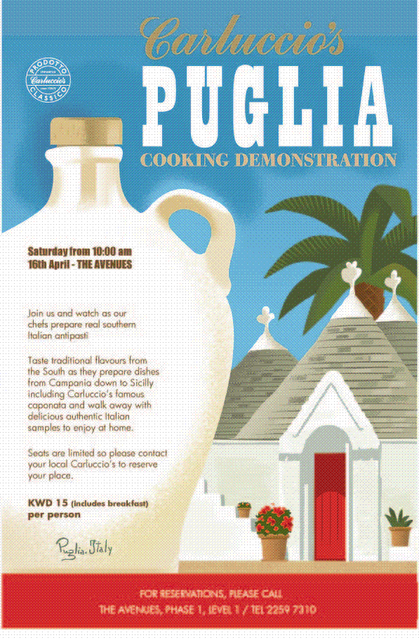 15/- per person to attend the cookery demo on Saturday 16th April,which includes breakfast at 9.30 a.m, followed by cookery class at 10 am., and you shall be given a take away bag with all the ingredients to prepare the dishes by yourself as well as the recipe. Do book in advance to reserve your place to attend the cookery demonstration.